Medium toned gold flakie in golden brown sheer base. 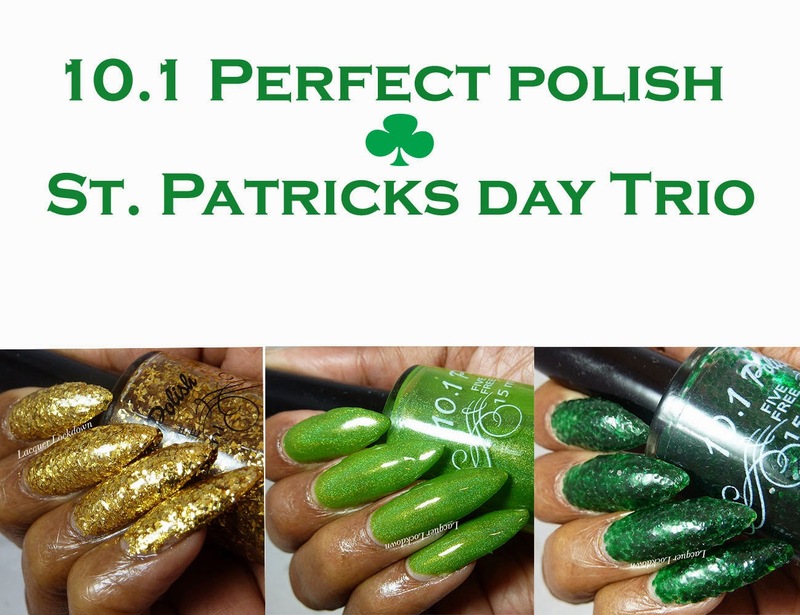 So flakies aren't my strong suit because they tend to take a lot of work to apply or they would if I hadn't realized a strategy for coping with this type of polish a little bit ago. If you want even coverage and you're working with a flakie the best bet is to apply it with a cosmetic sponge. I did that here - applying 2 coats on a sponge over Orly Glitz and Glamour. I ended up with perfect opacity and very easy application! The flakes were somewhat topcoat hungry though and required 2-3 coats of my regular topcoat before settling down to a nice smooth layer. The final effect was pretty brilliant and blingy. 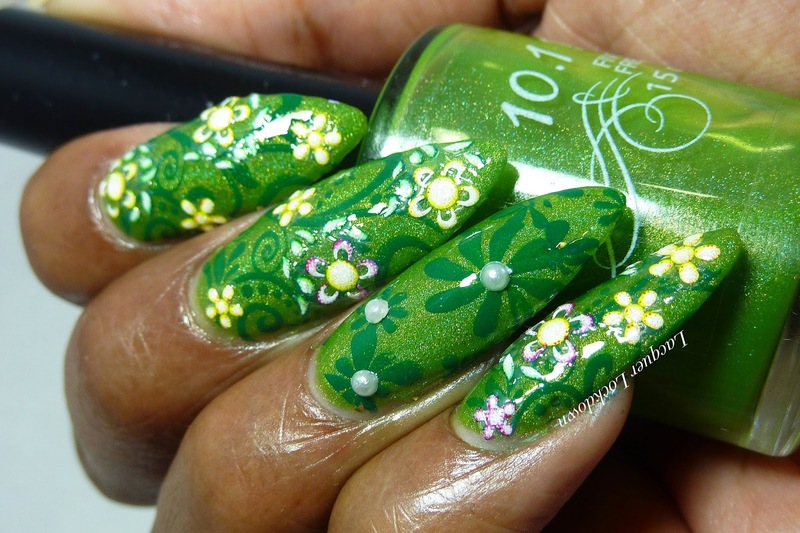 Mini matte kelly green circular glitter in a clear green tinged base. This one was tough for me because the formulation made it quite difficult to get even coats even using the sponge method. I swatched it alone and as a jelly sandwich glitter topper. I would not recommend using this one as anything but a topper since it was pretty uncooperative when worn alone. It took 3+ "coats" using the sponge method to reach opacity alone and there were still bald patches despite my best efforts. 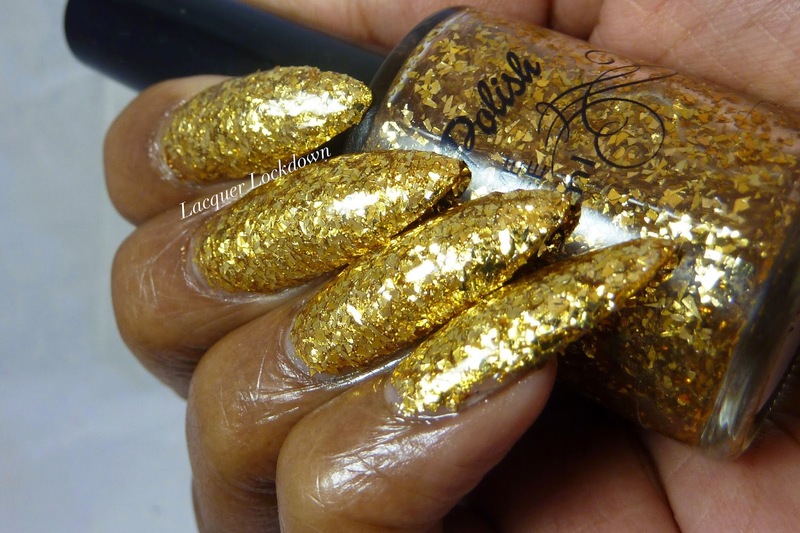 This glitter also seems to be very topcoat hungry requiring 2 thick coats before it would smooth down. Worn in a jelly sandwich I used the dab method and liked the results a lot better. 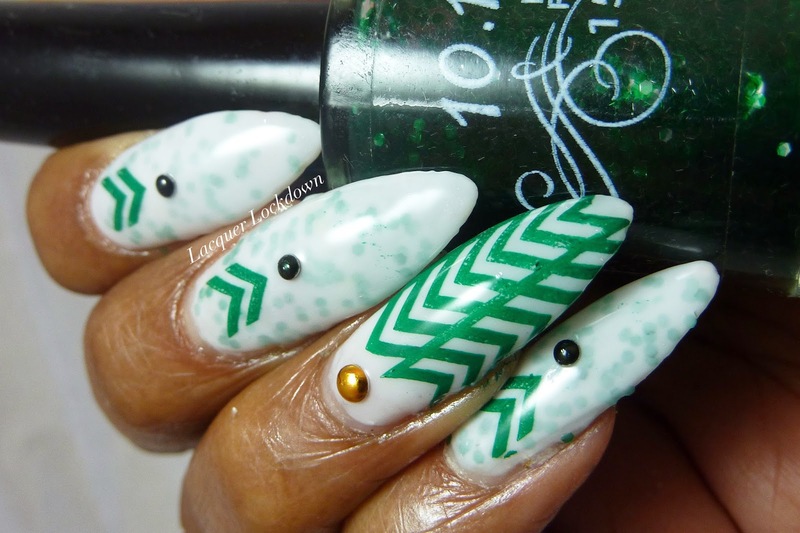 This nail art is all about placement - one of the most basic and difficult skills to master as as stamper. Every single downward pointing chevron was placed square in the middle of each of my nails. 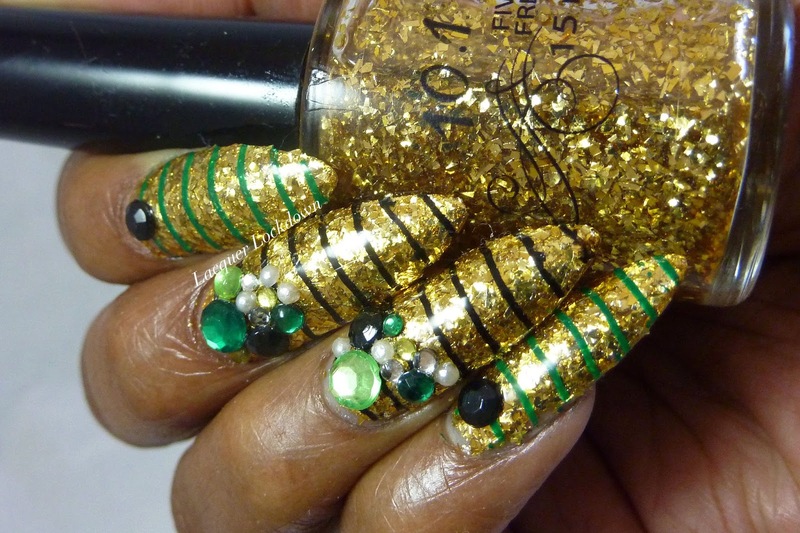 I keep the nail art fairly simple but I can assure you its no easy task to line up images in a centered manner like this. However after a while I've developed a bit of a practiced eye and an aim that helped out. I love the clean simplicity of how this one turned out. These products were sent to me for honest review. For more information please see my Disclosures Policy.